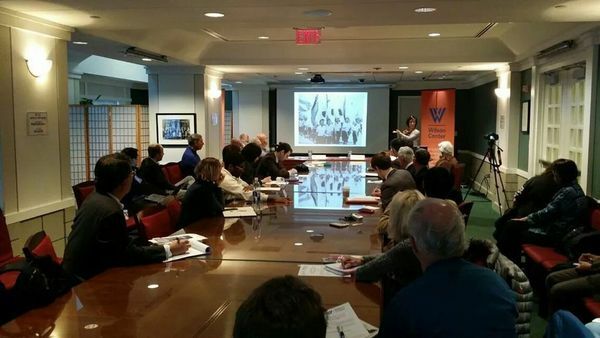 At this event, Suzy Kim, a professor from Rutgers University, discussed several historical images from North (and possibly South) Korea during the interwar/founding period (1945-1950) and highlighted their implications on her research and perceptions of Korea today. 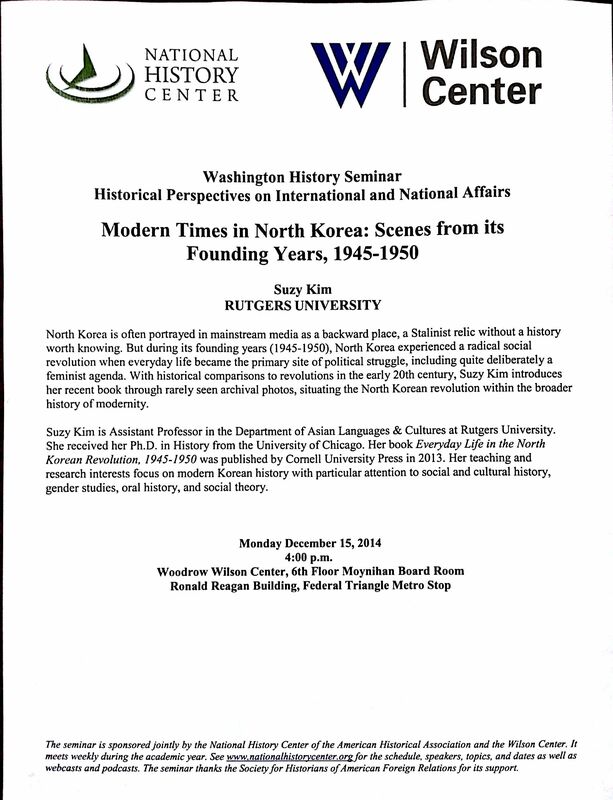 One of the key takeaways from this talk was to dispel the concept that North Korea is a relic of the old Stalinist/Soviet era. From the beginning, it becomes clear that pre-war North Korea was a very different place compared to modern day North Korea. Pre-war North Korea had (at least seemingly) legitimate and energetic elections, modernized gender roles, education and working initiatives, and even many forms of freedom. Overall, the picture of North Korea during this time (1945-1950) was that of a country that seemed to be modernizing and embracing modern ideals and concepts, such as democracy and gender equality. There were records of North Koreans even visiting to Soviet Union and noting even the tiniest details – such how wooden counters were preferred over glass counters (which showed merchandise) because they better served the customer. Needless to say, with the advent of the Korean War and later political and social purges by Kim Il-Sung, this sort of modernization quickly ended. But the very existence of that modernization shows that the status quo in North Korea today wasn’t always the status quo. Before the war, talks of reunification were real – so real, in fact, that there were US Military liaison personnel stationed in Pyeongyang during this brief period of modernization. This and numerous other pieces of historical evidence show the stark difference between this North Korea and the North Korea so well known today.